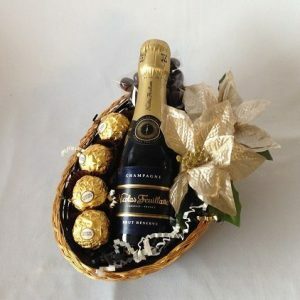 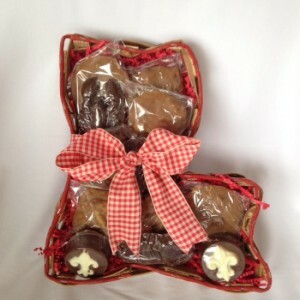 Category: Featured Baskets, Christmas, Parties. 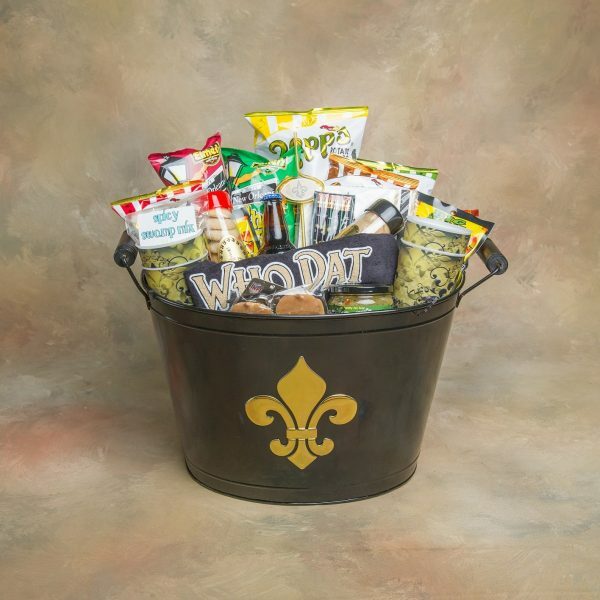 We have taken this metal container and literally stuffed it full of chips, chocolates, peanuts, trail mixes, dips, cookies, Abita Rootbeer (or beer) and have added Saints items (koozies, cups, plates, a scarf, and more). 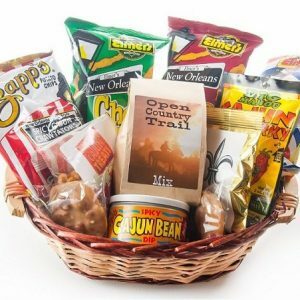 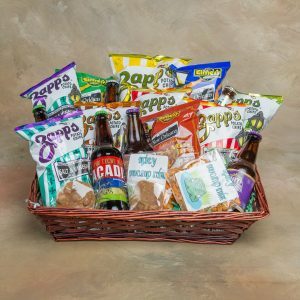 Perfect for the Saints to enjoy while watching the game. 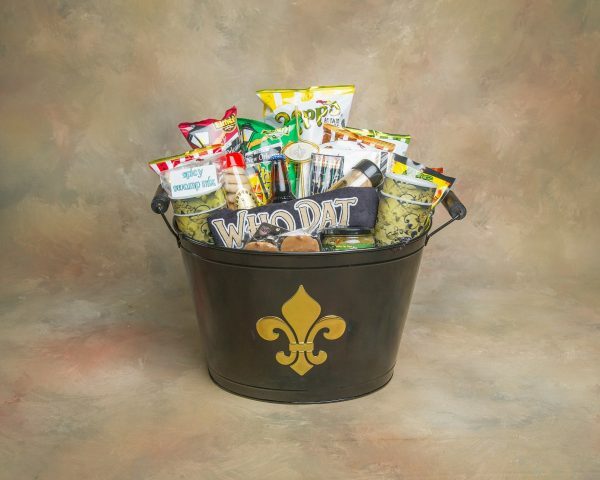 To top it off, the container makes a great conversation piece.